If you are one of the lucky humans on the planet able to shmooz your way into a Safeway, and score a ReloadIT pack with a credit card, then this buds for you. You now get a whopping $2.00 off the purchase fee of a ReloadIT pack, which is normally $3.95. $2.00 off is big savings, which if my math skills from college are up to date, it brings down the fee to $1.95. I’m currently able to buy these still from a couple of cashiers who know me well from my days of the variable load VGC’s I was getting before they were yanked off the shelves. Another thing I noticed is these are NOT hard coded into the registers to be cash only, as indicated from the packaging. I’m not sure how this came onto my Safeway Club card account, but it did. 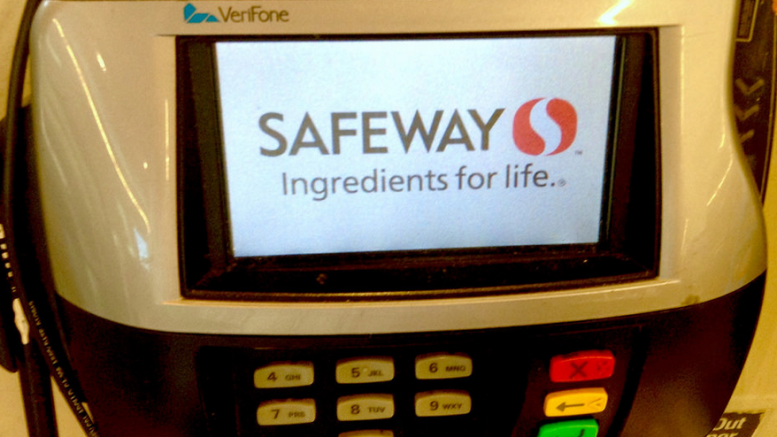 If you don’t have a Safeway Club Card, I suggest you sign up for it. Its free and there are some perky stuff worth getting sometimes from there. Browsing the specials on the website, didn’t turn this deal up either. It may be regional, so not sure about that either. I just know when I checked out, I wanted to get a deal on my sparkling water, and added the ReloadIT cards into the shopping basket, to alleviate the pain of my newborn SPG Business American Express card minimum spend. 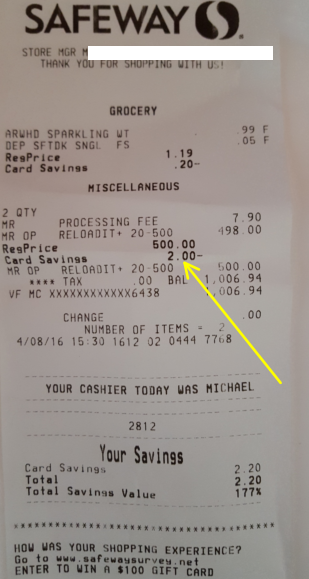 When I saw the $2.00 off on the register, I got so excited, I almost jumped up like Milli Vanilli (go 0:20 into the video) back in the day. From the looks of it, it appears its on the first $500, so that’s still pretty good. If anyone else out there is able to get ReloadIT packs with a credit card, let me know if this comes up for you too…..perhaps at Randall’s or Albertson’s? 4 Comments on "Discounts on ReloadIT Packs at Safeway"
Does it earn fuel points? What card do you usually unload these with? Jordan..i did with the T-Mobile Debit, but its going away as of 6/27. I am now using AccountNOW.